Google Drive is a great cloud storage service which provides you with a 15 GB cloud storage free of charge. It is one of the most used cloud storage services and associated with every Google account you are creating. Besides the cloud space, it also provides a plenty of application for free of charge. These cloud-based applications provide many unique features that are not available in the applications installed on your local computer. These applications are connected with each other. 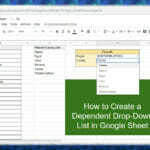 Unlike in locally installed applications, the Google Drive allows multiple users to work simultaneously on the same document. This is one of the great features available to use in your workplace. Also, you can access these files from any device. So, this article gives you an idea of how to use Google Drive to increase productivity at work. Google has viable alternatives to Microsoft Office. The alternative to Microsoft Word, Excel and Powerpoint are Google Docs, Sheets, and Slides respectively. Google also has G Suite, the paid version created for businesses. The G Suite is offering a lot more features facilitating to communicate and collaborate with your team more effectively. This article is about the free feature associated with Google Account. These free versions also provide access to most of the apps that Google offers. You can share files with colleagues for editing or collaboration purposes simply using their email addresses. The first step of using these great features is creating a Google Account. If you do not have created a google account yet, you can create it here. You can share your files and folders among collaborators and control the access to the files. You can simply share a folder by adding the collaborator’s email. Following are the two things that collaborators can do with the shared folder, and you can toggle them at any time. Can organize, add, & edit: People can open, edit, delete, or move any files within the folder. People can also add files to the folder. Can view only: People can see the folder and they can open all files within the folder. You can share this files and folders through a link to the file and select who can access this file from the following. Public on the web: Anyone on the internet can find and access. No sign in required. Anyone with the link: Anyone who has the link can access. No sign in required. Specific people: Shared with specific people. You can follow the same procedure to share a file also. You can limit how a file is shared as follows. View: People can view, but can’t change or share the file with others. Comment: People can make comments and suggestions, but can’t change or share the file with others. Edit: People can make changes, accept or reject suggestions, and share the file with others. With Google drive, everyone accesses the same file based on the access level you provided. Yo do not want to wait for someone to email their work. You can see their input in real time. This will really save your time and increase productivity at work. If you want to see who has done what in the document, you can see that everyone’s input separately through version history. Google Drive tracks every change to the documents under their email. It assigns a separate color for each email and highlights the changes by color. You can restore or make a copy of any version if you want to rollback to an earlier version. In the workplace, you are working as a team. Your input may be an output of a somebody else’s work or vice versa. In large companies, sharing can be done through their enterprise software. However, through Google Drive, you can do the sharing free of charge. (the G Suite, the paid version is specifically designed for business, provides a lot more features). Your team may be geographically dispersed or working from home. The Google drive brings your team to one place virtually. They can easily access the shared files from any device at any time. If you are working on a shared file at the same time as others, you can chat with each other inside the document, spreadsheet, or presentation. With the shared files and folders you can track your team members, can see their performance and monitor how they are working. You can also assign tasks to team members and notify them through email alerts. In Google Drive, you can add, edit, view or delete comments. You can also assign a comment to a specific person or reply to comments. To add comments highlight the text, images, cells, or slides you want to comment on. Then click add comment icon in the toolbar. In the Google Sheets, Docs, or Slides, you can manually assign tasks through comments. To do this, Just insert a comment and mention your team member’s email. Then you will get an option to assign the task to the email mentioned in the comment. If you assign a task to a particular email address, the Drive automatically send a notification to that email address. If that person uses the Drive mobile app, a notification is sent to the mobile device also. You may be handling a large number of files in your office to manage your documents. You may have organized them such a way that they can be accessed very quickly when they are needed. But still, it not easy to find a file since you need to access them physically. You can scan these documents with Google Drive mobile app and store them as PDF. Rename these files with a meaningful name, you can also include the same file numbers which you use to store them at your office. These files can be easily accessed from any device when you and your team needed to refer them. The Drive’s search field provide even faster access to these files. This is a good practice if you are trying to increase productivity at work. In the Google Drive, all the apps are interconnected. For example, if you create a survey form using Google Form, your data is saved on a Google Sheet. 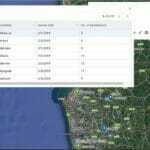 So you can easily do custom analysis with the data or export them. 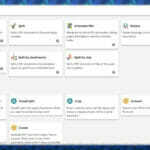 In addition to these default apps, there are plenty of apps available free of charge that you can connect to your Google Drive to extend its functionality. These apps are created by both Google and other various third-party developers. 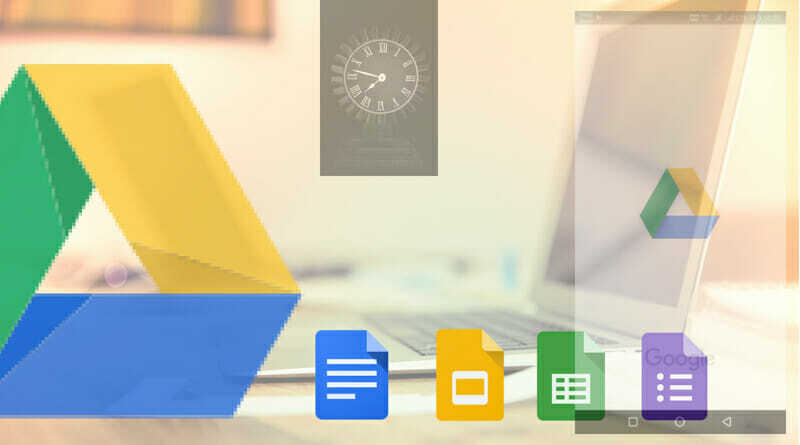 There are apps in multiple categories like productivity, business tools, and education etc… So, you can choose apps and connect to your Google Drive to extend its functionality and increase productivity at work. With Google Drive, you can increase productivity at work by saving time and money, reducing meetings, reducing travel cost, increasing collaboration, and saving your team members’ time to spend on more critical works. However, the free version is mainly designed for individual users. In the free version, the administration part is done by the Google. It does not give you some important features that critical to businesses. However, they all are available G Suite. For example, if someone who owns a file leaves your team, you lose the control over this file. In G Suite, all accounts are administered by your company and you have control over all the files you created. So, when your company is growing you can switch to G Suite and no need to have an in-house IT department. One of the cool features that Google Drive offers in its Docs and Sheets web-apps, is the web clipboard. The web clipboard is capable of storing the things that you copy to it. Very god article….keep it up! Its really effective article and I have learn so many things and it will help me to utilize my Google drive in a better way. In addition to this, Google drive also can be used to backup your blog or websites, There are many WordPress plugins which can be used to take backup of WordPress blog on google drive.